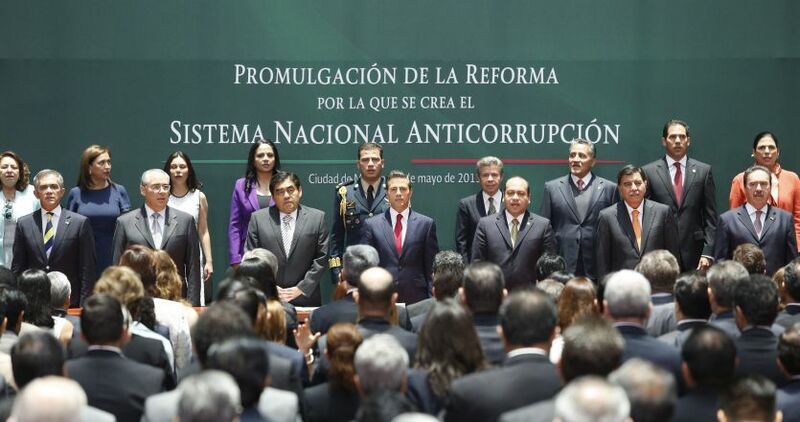 The enactment of the Constitutional Reforms that created Mexico´s National Anti-Corruption System represents a historic step in the country´s fight against corruption. On May 27, 2015, anti-corruption constitutional reforms were published. Then on July 18, 2016, the secondary laws were published, giving birth to the country´s National Anticorruption System (SNA, for its acronym in Spanish). The SNA is a coordinating body (between the federal and local authorities), which is in charge of the prevention, detection and sanction of administrative responsibilities and acts of corruption, as well as the control of public resources, in which citizens participate through a Committee. The system’s coordination has been established at the constitutional and legal level in order to more effectively fight the phenomenon of corruption in public service by including mechanisms for collaboration, information exchange and the design of comprehensive policies in this area. A Steering Committee of the National Audit System. Local Systems, which will be attended through their representatives. The Coordinating Committee is in charge of establishing coordination mechanisms among the members of the National System and has under its responsibility the design, promotion and evaluation of public policies aimed at fighting corruption. National Institute for Transparency, Access to Information and Personal Data Protection. The purpose of the Citizen Participation Committee is contribute for the success of the objectives established by the Coordinating Committee and be the connection between the SNA and the social and academic organizations related to the matters of the National System. On January 30th, 2017, the Mexican Senate integrated the Citizen Participation Committee with five prominent citizens who are recognized for their contribution for the transparency, accountability and the fight against corruption.